This current event pairs beautifully with our activity on the effects of deforestation in the Amazon. Use it! Zoom, zoom, zoom on this beautiful map. A new study establishes the fragile and beautiful Amazon as an interconnected ecosystem—the towering canopy absolutely impacts the lake beds below. Zoom, zoom, zoom in on this beautiful map. Deforestation associated with timber and agriculture (take a look at the “Altered Landscape” inset map at the bottom left) are threatening fish stocks throughout the Amazon. New research has “shown for the first time that there is a significant link between deforestation and reduced fish catches” in the Amazon basin. Why is deforestation taking place in the Amazon rain forest? agriculture. Huge swaths of the Amazon rain forest are being converted to cropland and cattle ranches. Learn more about ranching in the Amazon with our reference resource here. Learn more about the impact of construction in the Amazon with our lesson here. mining. Legal and illegal miners are extracting the Amazon’s gold reserves. Learn more about how a gold mine in Brazil’s “lawless wilderness” became a national park with our video resource. oil and natural gas extraction. Just this month, Ecuador’s state oil company began drilling the first of 97 planned wells inside a new field at Yasuní National Park, one of the world’s biodiversity hotspots. Learn more about biodiversity at Yasuni National Park with our video resource here. hydroelectric power. Companies have cleared land to build huge power plants on the Amazon and its tributaries. Learn more about local opposition to these dams with our resource here. Read through our great, relevant activity here. In particular, take a look at step two of the activity. Zoom in on the “Amazonia: Vital and Fragile” map above, and work through the “Role of Trees in the Amazon” worksheet here. Which of the three types of forest do you think the researchers focused on in the new study? Read through the Geographical article or Virginia Tech press release here for some help. The researchers focused their research on freshwater lakes in Amazon floodplains. These wetlands are part of varzea forests. Learn more about rain forests and flood plains with our reference resources. How is deforestation in varzea forests impacting fish stocks in floodplain lakes? food. “‘Floodplain forests are the principal sources of food [for fish] via provision of detritus, tree leaves, fruits and insects,’” says one expert. habitat. Shady pools, as well as detritus such as twigs and leaves, provide a sheltered habitat for fish and their offspring. Without this habitat, fish are more vulnerable to predators. This often also means that fewer fish are allowed to grow to mature size, meaning a decline in the size of fish caught, as well as a decline in overall number. How might declining fish stocks impact surrounding communities and ecosystems? food. 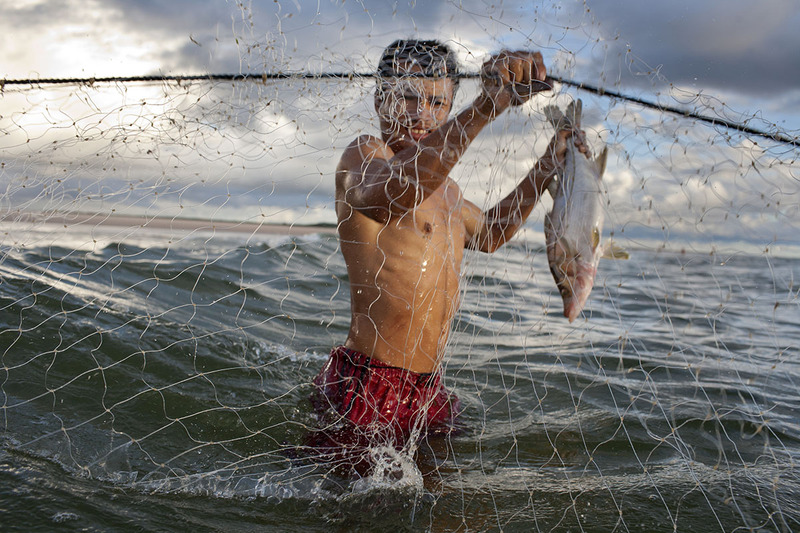 Roughly one-third of the global wild-caught fish yield comes from the tropics. Inland fisheries are vital to that food production. sustainable fishing. The food security of local populations is put at risk. “Tropical deforestation is not only a terrestrial issue — it can also decrease the number of fish available to some of the world’s poorest populations,” says one researcher. environment. Floodplains generally lack the protections secured for upland rain forest ecosystems. This is the first major study documenting the links between floodplain lake fisheries and deforestation. Other tropical floodplains include the Congo rain forest basin, the Okavango river basin, and the rain forests of Southeast Asia, stretching from India and Myanmar (Burma) in the west to Malaysia and Indonesia in the east. How are scientists hoping to pursue the link between deforestation and declining fish stocks? New research finds that deforested areas matched with local fisheries producing much lower yields than those with larger forest areas surrounding them. Nat Geo: What is a rain forest? Nat Geo: What is a flood plain?